Our Shared Responsibility—A Journey against Coal and Oil! In the testimony of Master Carver Jewell James, the totem itself is not sacred — it is only when it is touched and shared by many communities standing together that the totem becomes a lasting part of our memories and a symbol of our resistance. So please join us in this unique, indigenous event and let the Lummi community know that we stand with them in the fight against fossil fuels and we share the responsibility to protect the land, the waters, and the peoples of the Northwest. 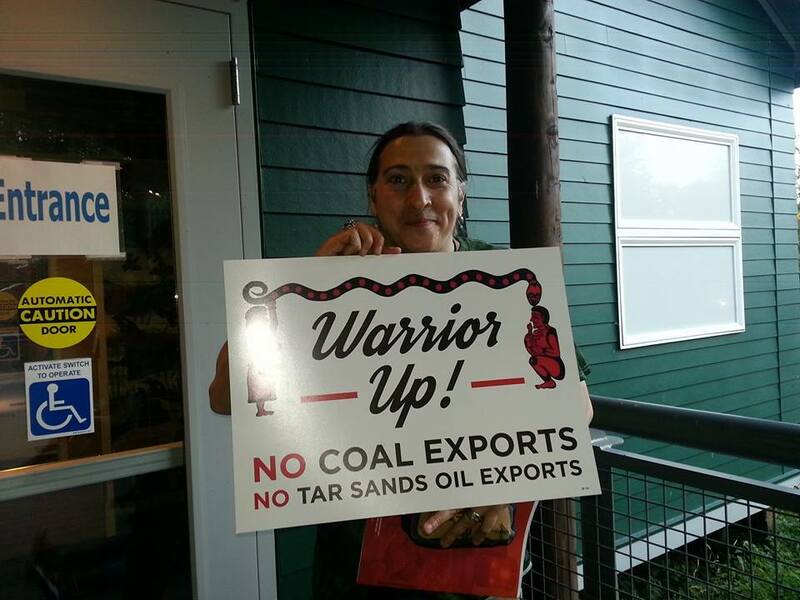 The Lummi Nation’s annual Totem Pole Journey is taking a stand against coal and oil export in our region. Stand with them at events in Billings, Spokane, Olympia and Seattle. Coal and oil extraction and export threaten the lands, waters, resources and human health of all of us, but none more so than the indigenous people who sit right in the path of destruction. The coal terminal proposed for Cherry Point, WA would sit right on the ancestral lands of the Lummi. The mining of that coal would destroy Northern Cheyenne lands in Montana, and transport by rail would harm the fishing and treaty rights of Native Americans all along the way. In protest against dirty and dangerous coal export and oil transport, Lummi carvers have created a new totem pole, which representatives from different tribes are taking on a journey from the Lummi ancestral home at Cherry Point to where the pole will be erected in the tar sands of Alberta. Along the way, tribal elders and community leaders will bless the totem pole. This entry was posted in Raven views and tagged Lummi Nation, No Coal Trains, No Tar Sands, Our Shared Responsibility—A Journey against Coal and Oil!. Bookmark the permalink.